The company claims the cause of the vulnerability lies in how the software stack was assembled by Chrysler. Responding to an accusatory blog post, BlackBerry has again denied that its embedded operating system caused the potentially dangerous vulnerability recently demonstrated in Chrysler Jeep Cherokees. 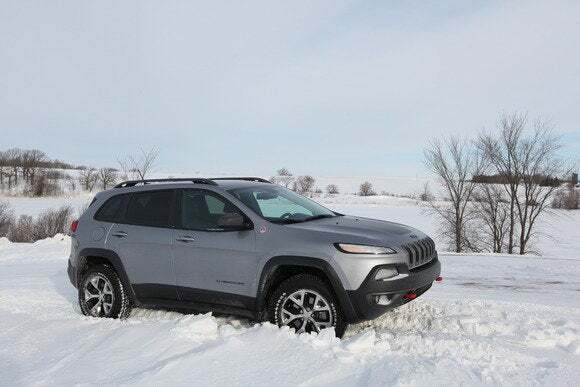 Last month, security researchers demonstrated how to circumnavigate the in-vehicle entertainment system of the Jeep Cherokee to take over the car itself, including control of the dashboard, steering mechanism, transmission, locks, and brakes. Over 1.4 million vehicles have subsequently been recalled to fix the problem. The dealerships will install updated software, though owners can install the update themselves. The Chryslers being recalled all run the QNX Neutrino OS, which was supplied by BlackBerry subsidiary QNX Software Systems. But the flaw being exploited was not within the OS itself, BlackBerry said Monday in its blog. “The vulnerability came about through certain architecture and software components that are unrelated to the QNX Neutrino OS,” the post reads. The researchers themselves did not target QNX specifically, but rather the connectivity software that runs on top of QNX, called uConnect which, using cellular connections, offers Internet access, navigation, voice command capabilities and other features to drivers. According to the researchers, Chrysler implemented uConnect in a way that can let external users, such as malicious hackers, access the vehicle’s control bus, which taps into critical car systems. BlackBerry first denied culpability when news of the hack first surfaced in July. But an item posted Friday on the financial blog site Seeking Alpha raised the issue again, speculating that QNX shared some of the blame. “I think it’s clear that everyone involved had a hand in this massive design failure. Clearly, the demarcation line between operating system and applications was nonexistent or at best ineffective,” reads the post from an anonymous blogger who claims to have decades of experience as a software architect. Anonymous contributors must give Seeking Alpha their real name and contact information. Last week, a class action lawsuit was filed on behalf of the owners of the recalled automobiles. The lawsuit does not include BlackBerry, instead focusing on Chrysler and Harman, which supplied the vehicle’s audio system. QNX is an Unix-based operating system designed for the embedded systems market by Quantum Software Systems (later called QNX Software System). BlackBerry purchased QNX in 2010. The QNX Neutrino OS has been installed in more than 60 million vehicles.